Bee Story HD iPad Game Review: Buzzworthy? 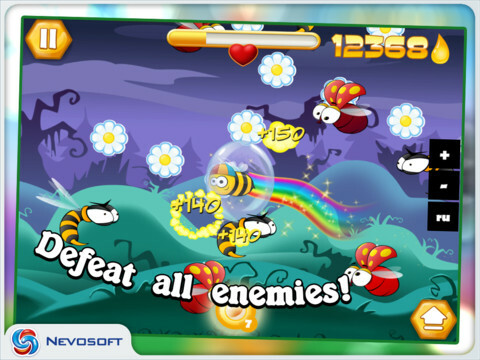 Bee Story HD is an iPad game developed by Nevosoft. In this high-flying, colorful title, you must gather drops of honey from daisy flowers, battle wild bees, and grab honeycombs. Oh, and pursue an evil kidnapper! The main mechanic here is tapping. 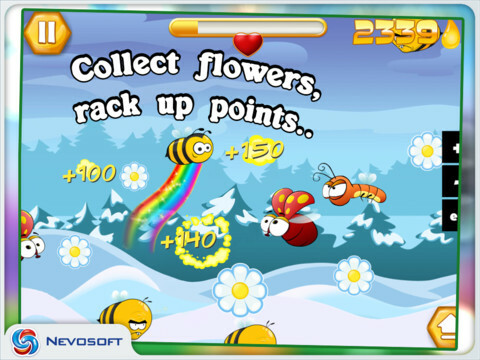 As your character moves across the screen in a straight line, you will need to tap daisies to release their honey. 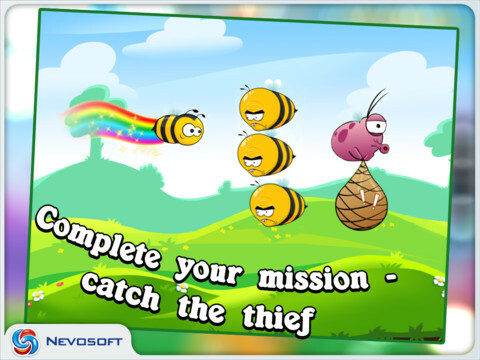 Drops of honey are collected in order to unlock super abilities, funny costumes and new scenic locations. In addition to gathering honey, you also need to tap on wild bees, who will sting you and kill you if they get too close. In later levels of Bee Story HD, you will also need to tap on matching sets of suspended honeycombs. 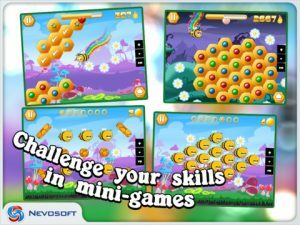 There’s plenty of tapping to be done, both to defeat enemies and build up your score. The number of things you need to tap feels a bit overwhelming at times. 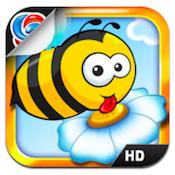 Thankfully, unlike some other tapping games I have played, Bee Story HD supports multi-tap. In other words, you can tap the screen with two fingers (or even two hands) at once, and all your touch inputs will be valid. On the whole, the game feels too static. I wish there was a tilting ability that would let you travel up and down, or backwards and forwards across the screen. This would make the experience feel far more dynamic, and it would spice up the gameplay. Movement would let players physically hit daisies, while having to do more to avoid the bad bees. I like tap-happy games as much as the next person, but there’s just a lack of difficulty here that makes this game feel far too one-dimensional for my taste. 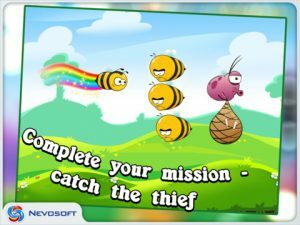 Bee Story HDis compatible with iPad. Requires iOS 4.3 or later.